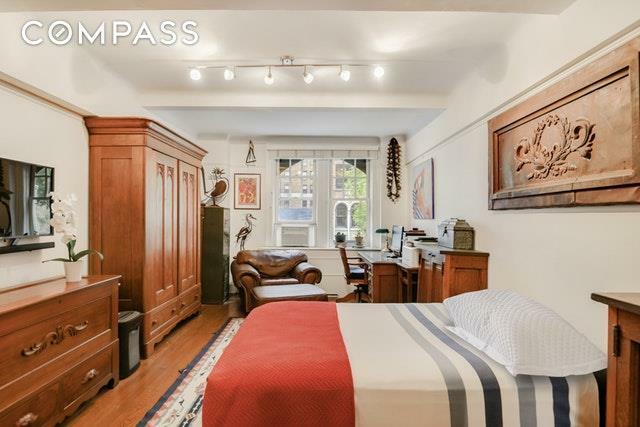 FALL IN LOVE with this oversized one bedroom home (nearly 1000 sq. 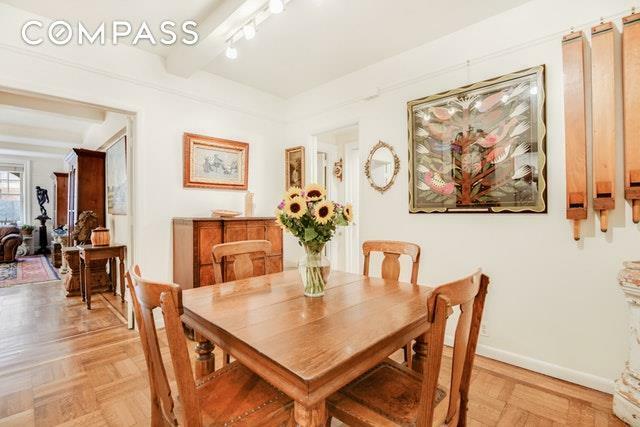 ft.) in the majestic pre-war Park Royal co-op, located on prime West 73rd Street... right off of Central Park West!This quiet, second floor apartment faces beautiful 73rd Street with a sunny southern exposure and great natural light. 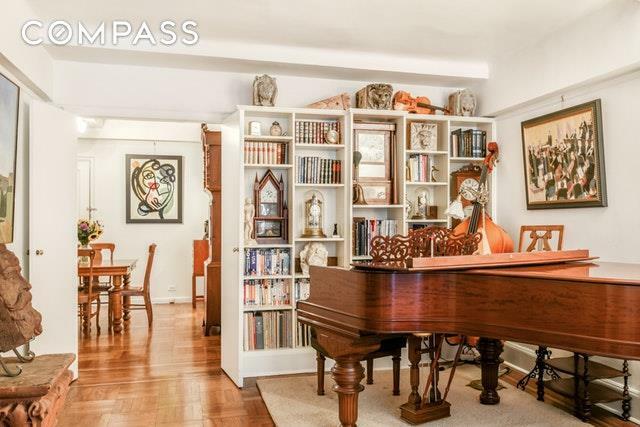 Upon entering, you are greeted by an enormous foyer which can easily serve as a generous dining area. 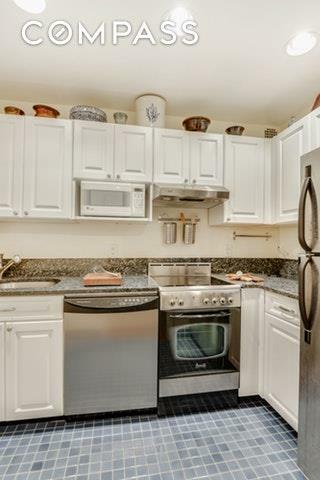 The cheerful, renovated kitchen features stainless steel appliances, an electric range and lots of storage space. With beamed 9 foot ceilings and beautiful hardwood floors throughout, both the living room and master bedroom are enormous beyond expectations! To top it all off, this home boasts 4 massive walk-in-closets, giving you a wonderful opportunity to create a laundry room, nursery or home office.Built by famed architect George F. Pelham in 1926, the Park Royal is Pied-a-Terre friendly, allows co-purchasing (case by case) and 80% financing. This spectacularly designed white-glove building has dedicated doormen, concierge desk and live-in superintendent. The Park Royal lobby is grand, elegant and impressive.Features: Utilities IncludedPet FriendlyBike RoomPrivate StorageNY Sports Club Entrance from the LobbyChildren's PlayroomLocated in the heart of the Upper West Side, you are mere steps from Central Park, world-renowned museums, Lincoln Center and much more. Food shopping opportunities abound with Trader Joe's, Citarella, Zabar's and Fairway all within easy walking distance.The newly renovated 72nd Street subway station will be re-opening soon, just a half block away from your doorstep.Please note: a 2% flip fee on the buyer's side applies. Listing courtesy of David Gomez Pearlberg of Compass.